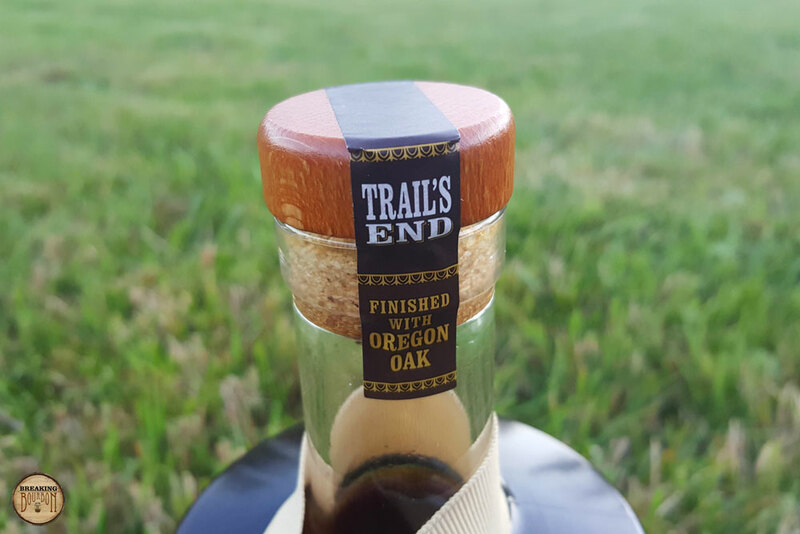 Trail’s End bourbon is Kentucky Straight Bourbon that has been transported to Oregon and finished with medium toasted Oregon Oak staves. While the mashbill is undisclosed, it has been confirmed to be a traditional bourbon mashbill consisting of corn, malted barley, and roughly 10% rye. Being a straight bourbon originating from a single distillery in Kentucky with 10% rye in the mashbill, the most likely source is Heaven Hill. Batches will be released on an ongoing basis, and while they may vary slightly from batch to batch, the intent is to create a uniform flavor profile across batches. This particular bottle is from Batch 003. 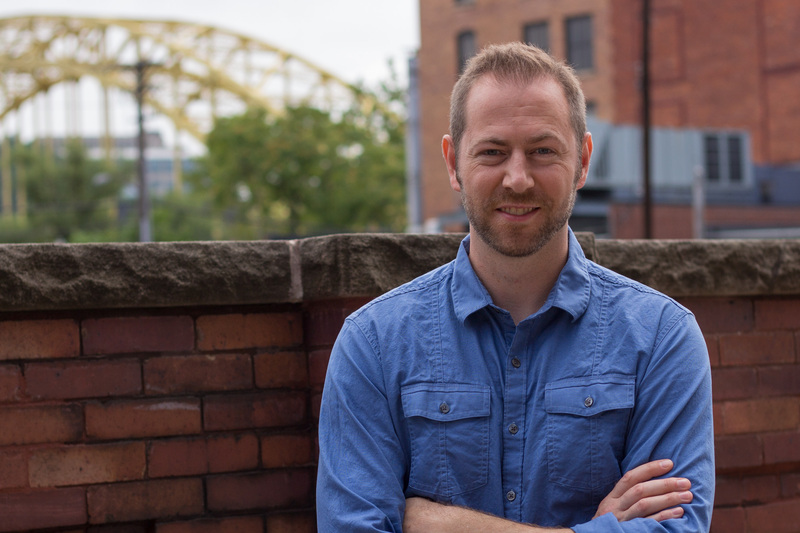 Trail’s End works in partnership with the National Forest Foundation, a partnership that began in 2017 and will run through 2019. For every bottle sold, a portion of the revenue is donated to the Trees for Us program with the Foundation. To date, the partnership has assisted in planting over 5,000 trees. Light and inviting. Raisins, honey, and a trace of fresh wood characterize the aroma. Its 90 proof is evident here, as the scents are relaxed and mild, making for a pleasant, albeit subtle, experience. A burst of flavor that’s immensely enjoyable yet not overpowering. Vanilla bean, maple syrup, cotton candy, apple, and a touch of anise make up the sweeter notes. Nutmeg and fresh oak balance them out, bringing a touch of spice and trace of wood into the mix. The mouthfeel is satisfying, and well above average considering the proof. Light spice pops at first, followed by traces of the sweeter elements on the palate. The sweet turns to dry, giving way to a subtle yet lengthy finish. Overall the sip is delicate and notably well balanced. In 2016 I included Rebel Yell Single Barrel in my favorite whiskeys of the year. A 100 proof 10 year old sourced wheated bourbon originating from Kentucky, it was most likely distilled by Heaven Hill. At $50 (for the first release), it wowed me with its overall quality at an (almost) everyman’s price. 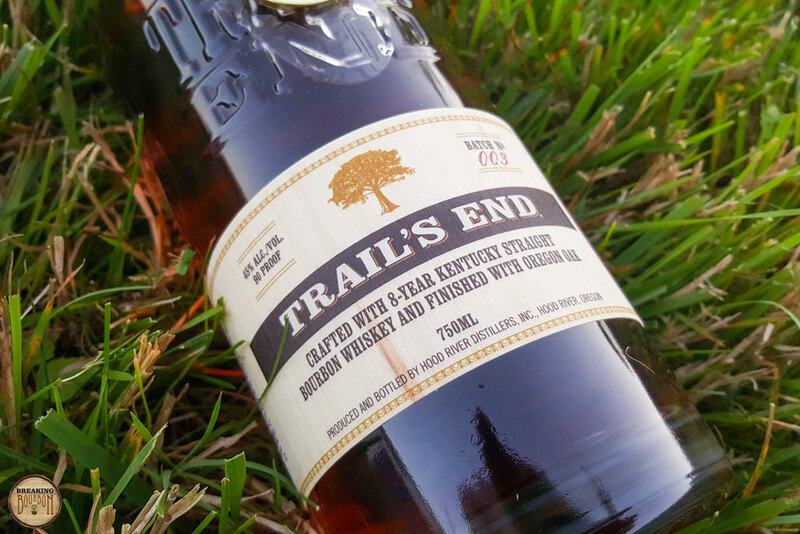 Trail’s End Batch 003 is very reminiscent of Rebel Yell Single Barrel. It echoes the same level of craftsmanship, and side by side it’s even more apparent they’re within the same range of quality and drinkability. 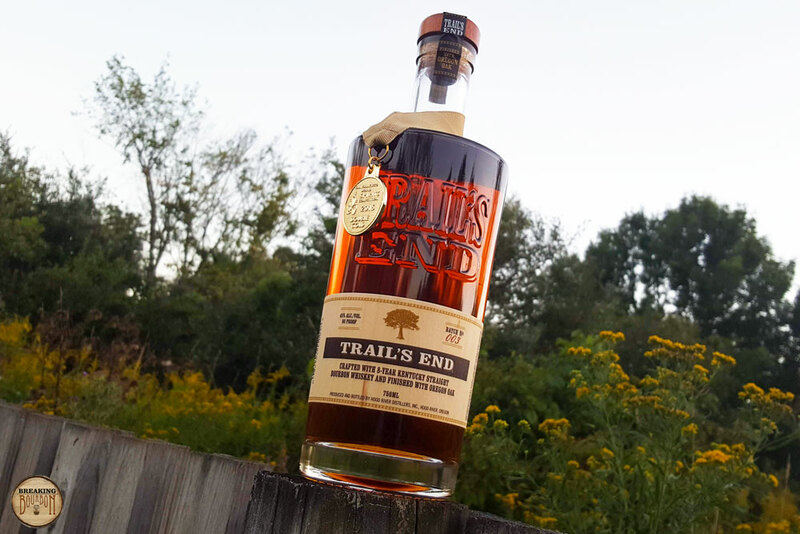 As opposed to bombastic flavor or a funky finish, Trail’s End instead offers balance - a quality many strive for, but few are able to achieve. The company attributes this balance to the medium toasted Oregon Oak stave finishing - a process much like Maker’s Mark uses to createMaker’s 46. This finishing is said to soften the wood notes allowing other flavors to shine through. 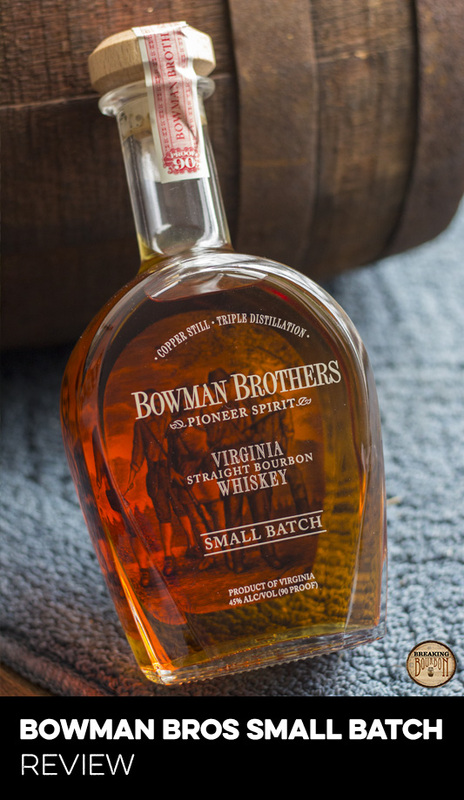 While the exact length of time the staves are used for finishing varies, the company states that batch consistency and achieving the desired flavor profile are the driving factors in determining how long the bourbon is finished. 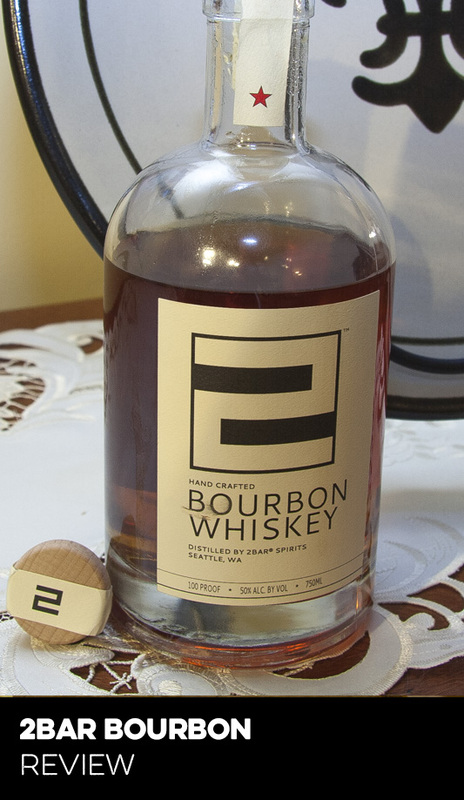 Regardless of how the bourbon begins, finishing with barrel staves is something few are doing, and the end result is certainly a good one. The technicals place Trail’s End in a bit of a pinch when it comes to pricing. At 8 years old and 90 proof it will be approached with a price expectation. Being sourced from Kentucky helps with perception (there seem to be far fewer whiskeys sourced from Kentucky distilleries than Indiana distilleries nowadays), as does its high end packaging. The additional Oregon Oak stave finishing adds an element of value that cannot be ignored, a step that takes time and money to accomplish. But in the end, it’s the flavor profile that will win fans over. As a result, $40 feels like a really good deal in today’s frenzied marketplace. 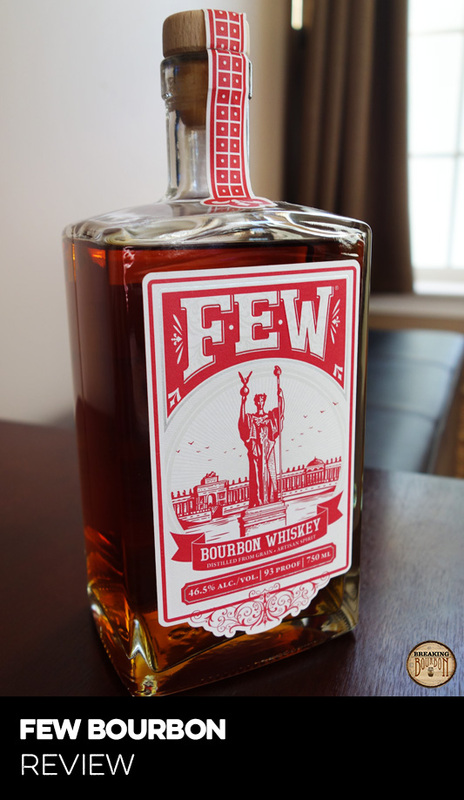 An immensely enjoyable bourbon that won’t wow with a high proof or pomp and circumstance, but will impress with overall balance and drinkability. Some bourbons that I end up enjoying take a little getting to know before I appreciate them, while others I like on first sip. 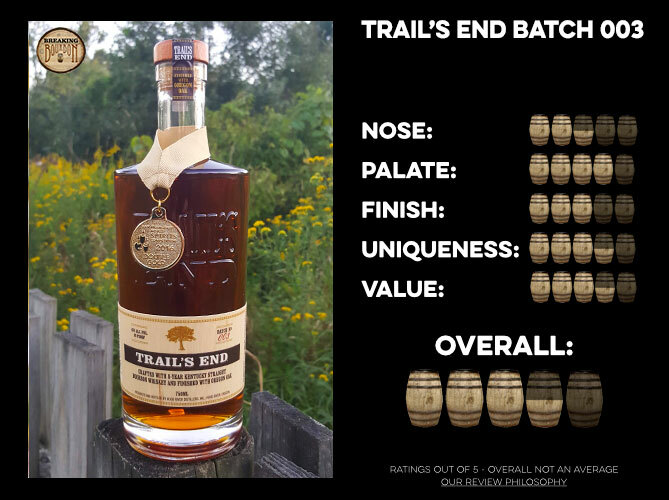 Trail’s End Batch 003 is one of those first sip bourbons. It didn’t wow me with an explosion of new or unusual flavors, but it immediately struck me as something I could drink every day. 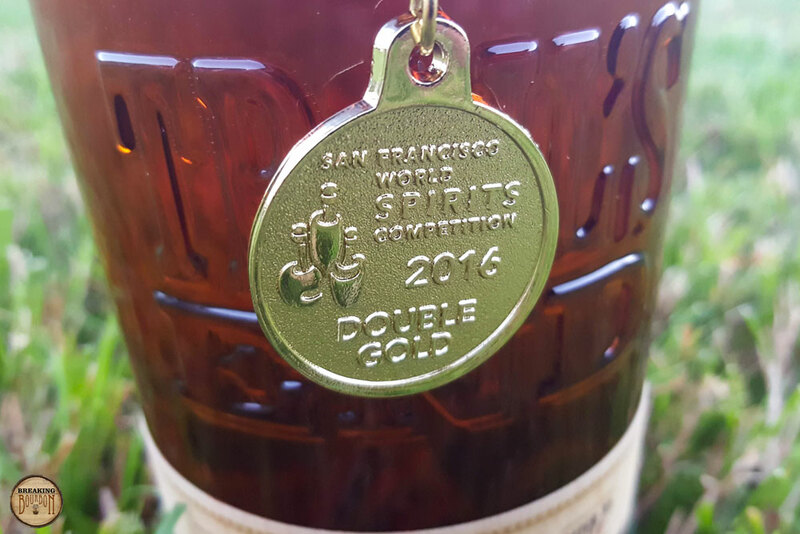 When it comes to sourced whiskey, some brands do it better than others, and few add something extra. This one does just that, and it’s one you’ll want to take note of. ‍The sample used for this review is from a production bottle and was provided at no cost courtesy of Hood River Distillers. We thank them for the sample and for allowing us to review it with no strings attached.